Nominated for 2 Emmys in 2012! 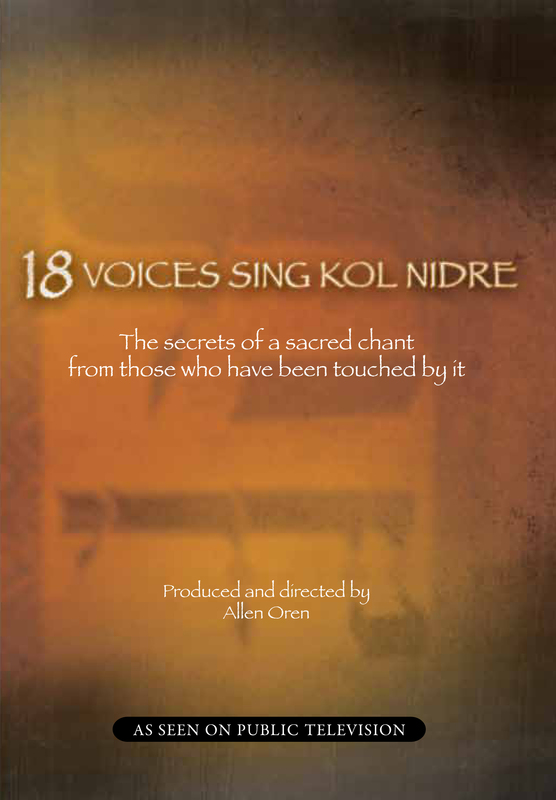 "18 Voices Sing Kol Nidre" aired nationally in 85 PBS markets, including nearly all the largest, and was a pledge special in New York City. "Beloved melody inspires reverence for Yom Kippur" appeared nationally in the Gannett newspaper chain. 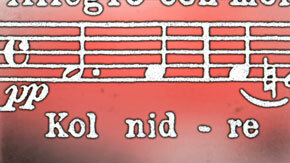 "The Kol Nidre Project" appeared in The Jewish Week. The Kol Nidre, chanted at the start of the sacred Yom Kippur holiday, is Judaism's best known prayer. And yet it's also the least known. "18 Voices Sing Kol Nidre" is the first documentary to tell the prayer's rich story. It shows how the Kol Nidre's words caused centuries of persecution, but how its poignant melody saved it from itself, how it became a Jewish anthem and an object of intense interest for non-Jews as well. The subject is sketched impressionistically by 18 storytellers, 18 "voices" of varied age, gender, denomination, some experts in the chant, some just changed by chanting it. Each is supported by unique visuals and unique musical settings for the haunting melody. The 18 voices include a well-known Holocaust survivor who remembers her Yom Kippur in Auschwitz, a famed African-American author who played the melody obsessively as a child, a composer who displays how it was adapted by non-Jewish musicians from Beethoven to Johnny Mathis to the Electric Prunes, and a film critic who shows how it burst on the pop culture scene in 1927 as one of the first sounds ever on film in "The Jazz Singer." In short, we learn the secrets of a sacred chant from those who have been touched by it. Included with the 40 minute short film is 16 minutes of Kol Nidre performances! Allen Oren, an Emmy-winning journalist, produced and directed "18 Voices Sing Kol Nidre" as well as a multimedia concert on the same subject. He is a full-time Journalism professor at Pace University and long-time working journalist, first in print, including a stint as Entertainment Editor of USA TODAY, then in broadcast, winning an Emmy for a series on the history of Madison Square Garden and an Emmy nomination for a documentary on the topic. He was a movie and theater critic on TV and in newspapers in New York, Chicago, Boston, Washington, and Charlotte, and he worked as a magazine journalist for four years in Israel. He is a long-time student of Jewish history and religion. 18 Voices, please refer to our FAQ or contact us directly.